"What a wonderful feeling it is for me in knowing that there is someone interested in Scottish heritage, of which knowledge is sorely lacking within Windsor's Scottish community." 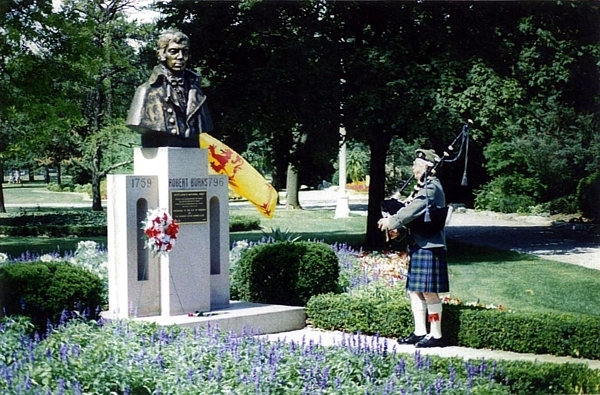 Windsor's Scottish community owes quite a bit to Bob Murray. 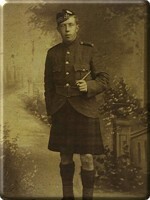 Born in Barrhead, Renfrewshire in 1921, Mr. Murray grew up amid the patriotic fervor of the inter-war years. 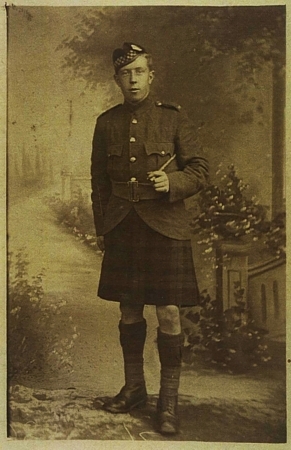 He became proud of his heritage as a young lad, learning in school about Scotland's wide range of contributions to diverse fields such as medical science, engineering, literature, exploration, and more, and learned the Gaelic tongue from his grandparents. 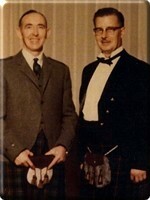 Mr. Murray left Scotland in the early 1950s for Brantford, Ontario, excited to come to a country that owed so much of its development to Scottish influence. He was, however, sorely disappointed when he came to Windsor in 1955, which lacked any outward displays of its Scottish heritage, save the struggling Border Cities Burns Club and the pipers of the Essex-Scottish Regiment. To preserve the atmosphere of their yesteryears in Britain, Murray and his English wife frequented the British Club on Erie Street and joined the Burns Club. "Although I found it to be very sociable in its activities," Mr. Murray admitted, "I was disappointed at the absence of our Bard, and on special functions when we were honoured by those with excellent ability in oratory, they were, more often than not, absent in their knowledge of [Burns]." 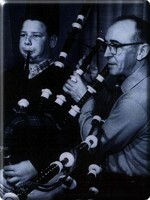 Mr. Murray became locally renowned as a Burns authority in the early 1960s, when he delivered a fifteen-minute impromptu presentation on the Bard at a Clan Campbell gathering in Detroit. 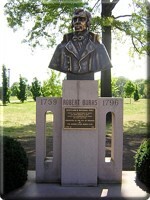 His speech was received with aplomb, and he soon found his mailbox filled with a steady stream of invitations to give addresses on Robert Burns to various groups around the Detroit-Windsor area. 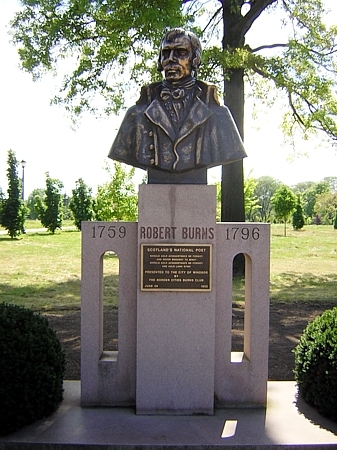 Mr. Murray was responsible for keeping the Bard alive in Windsor in more ways than this: in 1992, he raised the $1,400 necessary to have the bust of Robert Burns in Jackson Park repaired. The bust had been installed by the Border Cities Burns Club in 1952, and after forty years of exposure to the elements, it was in desperate need of attention. Close to one hundred people, including local public officials, gathered to witness for the unveiling ceremony held that summer. 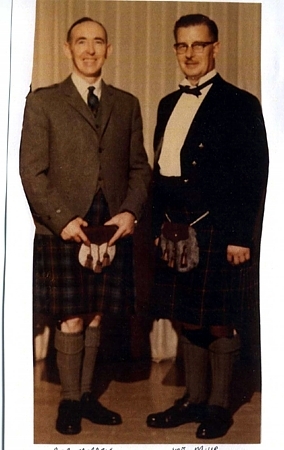 Given Mr. Murray's penchant for all things Scottish, it is no wonder that Joe Muir approached him to form a Scottish club in 1964. The Scottish Club of Windsor's co-founder was then left as its interim president after Mr. Muir unexpectedly resigned a scant eighteen months into office. 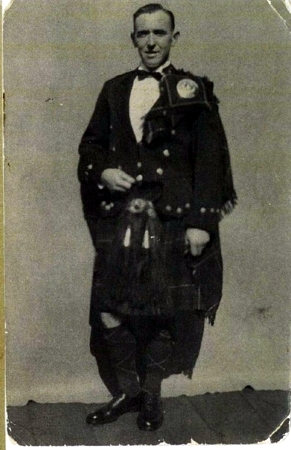 Mr. Murray, however, quickly passed on the club's leadership, as he was too involved in teaching pipes and drums to seek election. 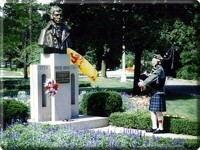 As Canada approached its 1967 centennial, Mr. Murray decided that Windsor ought to have a pipe band to represent its Scottish heritage. 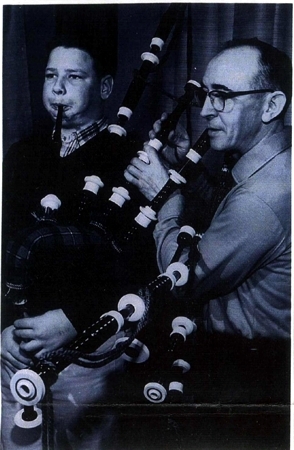 "I was involved very deeply in teaching boys and girls the pipes and drums in order to form a pipe band," he explained. 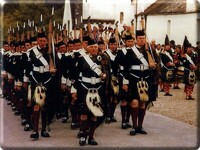 The fledgling band practiced "by playing and marching up Ouellette Avenue displaying the ancient Murray of Atholl tartan." 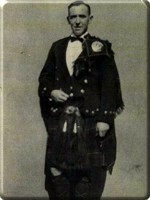 Mr. Murray's pipe band played at events all over the city, including the opening of the Windsor Raceway, and in Detroit. 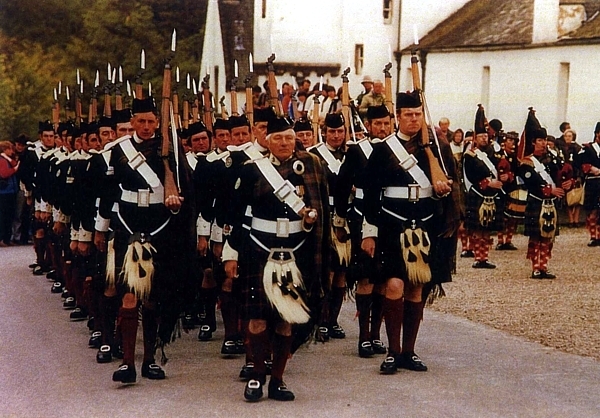 In 1971, the pipe band even recorded a thirty-minute program for the CBC. Mr. Murray has remained dedicated to his Scottish heritage over the past decades. His home is full of Scottish memorabilia, history books, and tartans, a fitting dwelling for one of Windsor's proudest Scottish representatives.